If October isn't National Candy Month, then it should be. 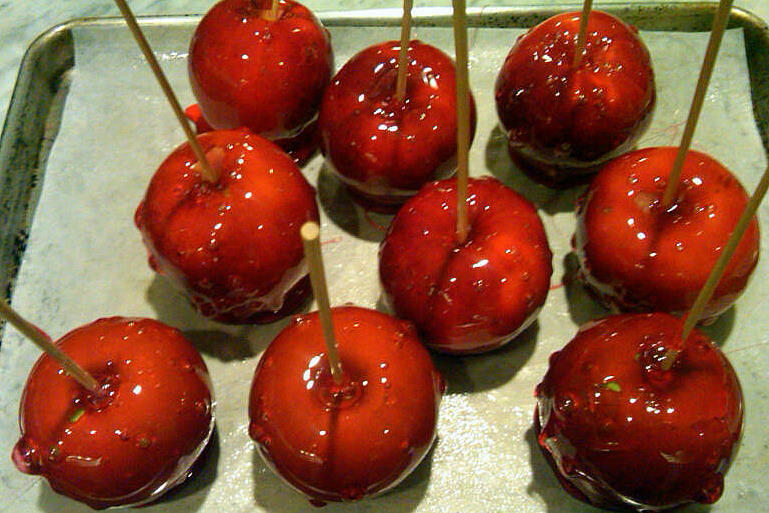 And second only to candy corn as the season's most delicious sweet are candy apples. These are really easy to make, and by doing so you can select the apples to use, thereby controlling the best thing about the treat, which is the contrast between the sweet hard candy coating and the juicy tartness of the apple. Although I failed to take step-by-step pictures, I can walk you through the process. After washing and drying apples, insert a wood skewer into the stem end of each and start cooking the sugar, corn syrup and water over low heat. 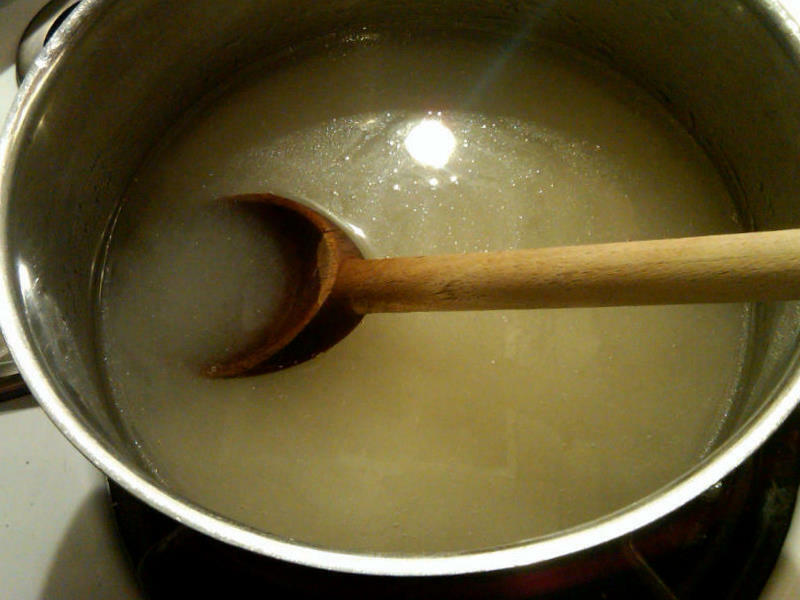 After a while, it will come to a boil. 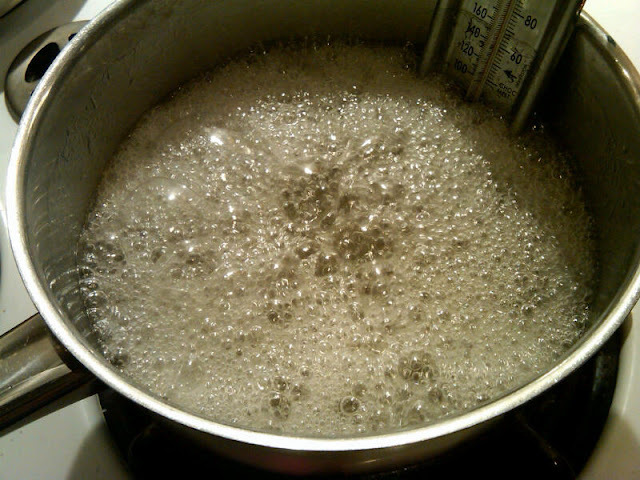 Stick in a candy thermometer and let the temperature reach 310 degrees, a process that is painfully slow. But you're free to move about the kitchen and straighten the silverware drawer or whatever. You just need to check the temperature every once in a while. Add the red food coloring after you take the pot from the fire and dip the apples in the mixture, letting the excess coating drip off back into the pan. Have a parchment lined cookie sheet ready so you can place the dipped apples on it. 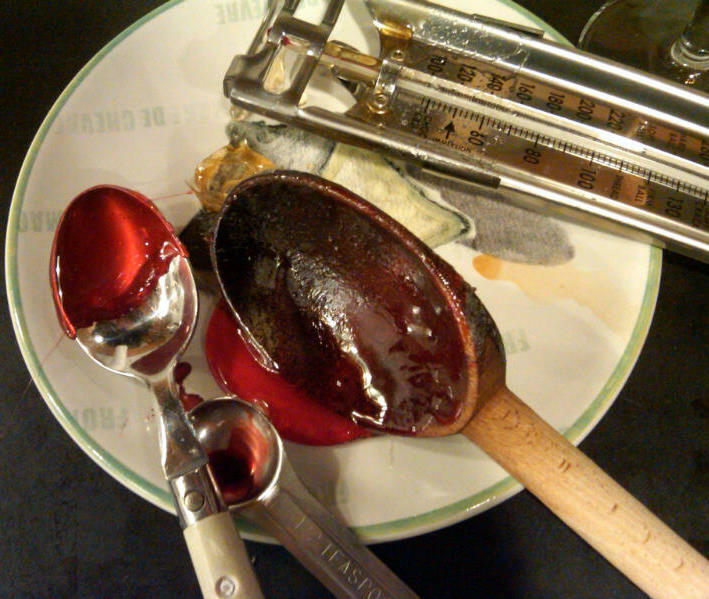 At the end, you'll end up with a mess of candy coated utensils, above. 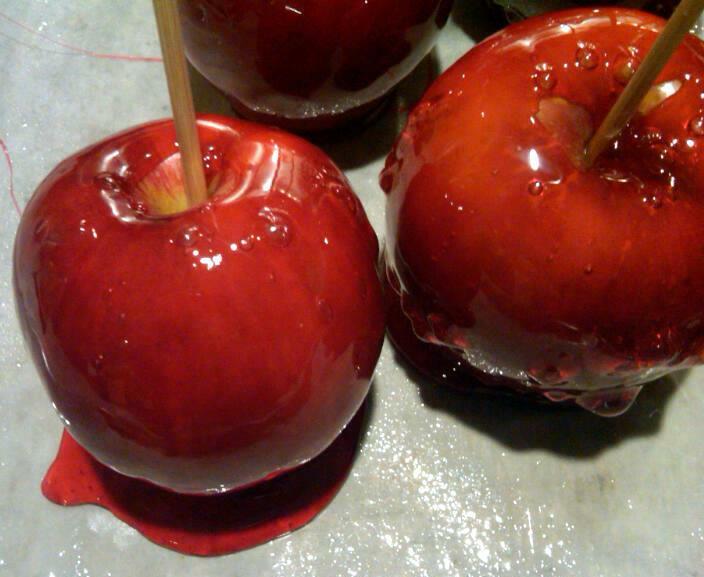 But you'll also end up with a tray of glistening candy apples, below. And you won't even need to go to Coney Island to get one. Though if you do go, stop at the classic Williams Candy Shop for a wonderful candy apple (a visit there on Sunday inspired this post) and other treats that are perfect all year round. Those are perfect! Candy apples are by far my absolute favorite!! 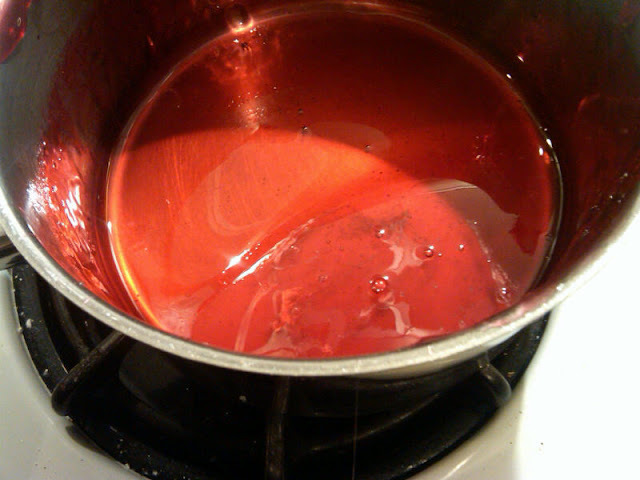 Much better than caramel as far as I'm concerned and much prettier! Thanks, SugarBeam. I agree -- candy, not caramel apples, for their looks and taste.